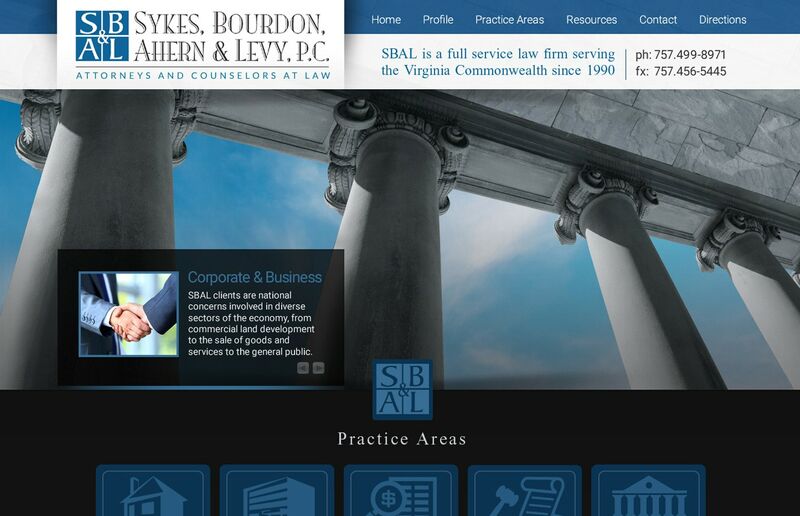 Attorneys Lawyers Websites Design Hampton Roads | Here is another outstanding law practice website design by VISIONEFX . You want your potential client to feel confident from the first click on your home page . This means going beyond a simple template or cookie cutter website. The design of a law practice website begins by identifying the core area of legal services and developing a visual strategy that supports a clear concise message. See our ‘View Our Design Process‘ link below and browse all the creative concepts we develop before building you that perfect website design that is tailored to your professional business brand. Call VISONEFX at (757) 619-6456 or email direct to info@visionefx.net. VISIONEFX has great Google Reviews from verified customers posted on ‘Google My Business pages’. We invite you to read our reviews and contact our website customers. They will tell you our web design and web maintenance services are second to none. For the best professional web design company call VISIONEFX a trusted leader in the online branding industry.